Hello Darlings, With the National Bridal Show this weekend and Valentine’s Day just around the corner, ‘tis the season to plan a wedding. For the lovely brides-to-be and her bridesmaids, this is the time of the year when plans come together and wedding dress selection is finalized. For one, I love dresses! 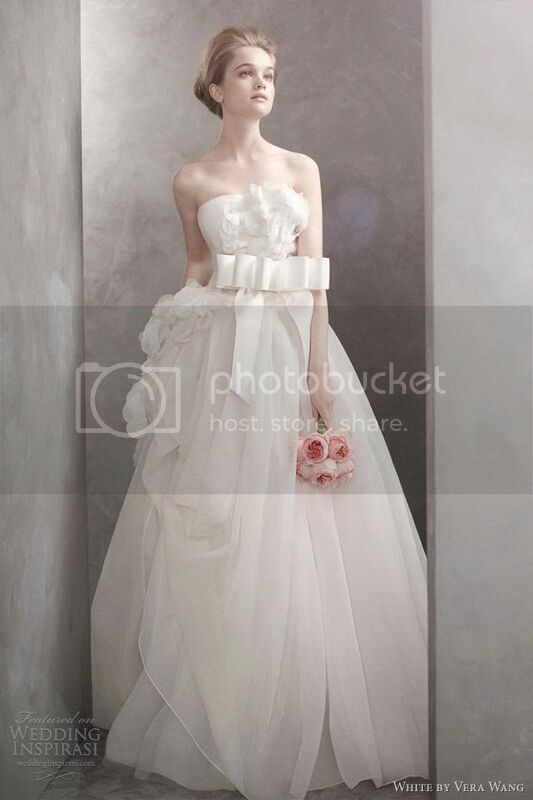 White or not, a dress is a dress and it is something beautiful to ponder upon. 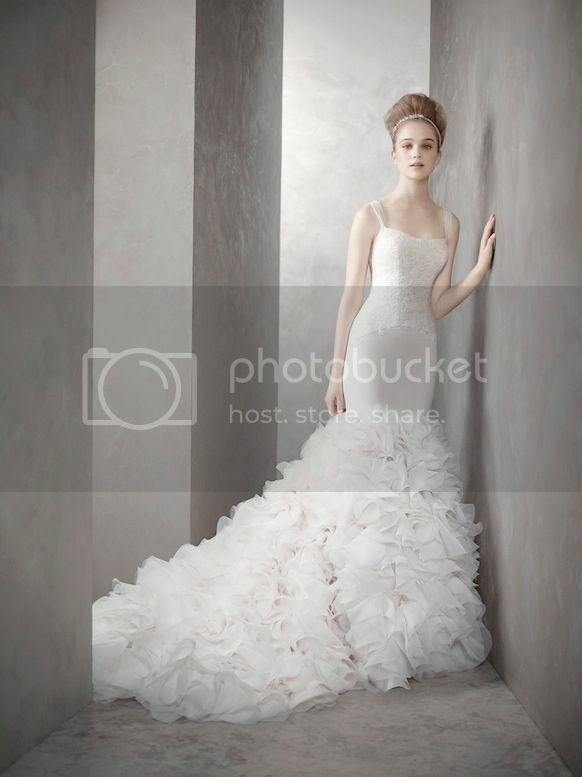 Occasionally—I confess— I enjoy browsing an endless online selection of David’s Bridal. After prom, a wedding is a girl’s second chance to play an enchanted princess. From silky satin, to a princess ball gown or traditional lace, there are as many wedding dress types as there are brides. 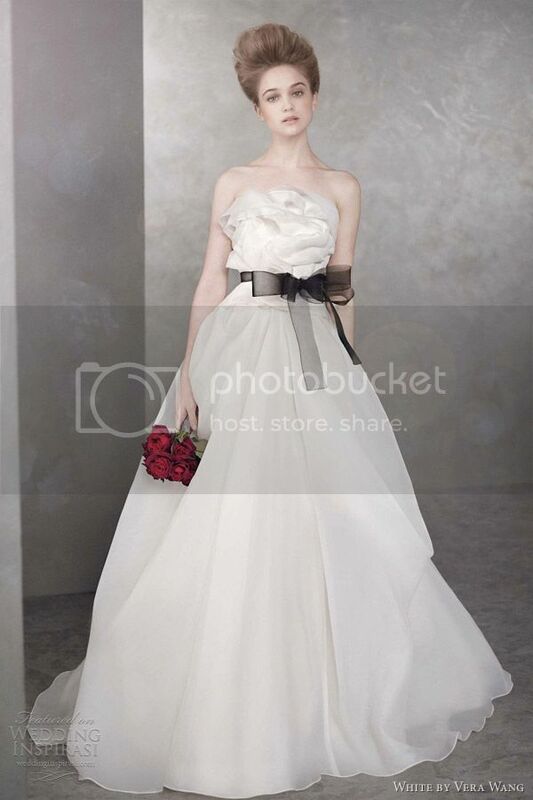 However in particular my heart melts for when looking through White by Vera Wang Spring 2012 collection. 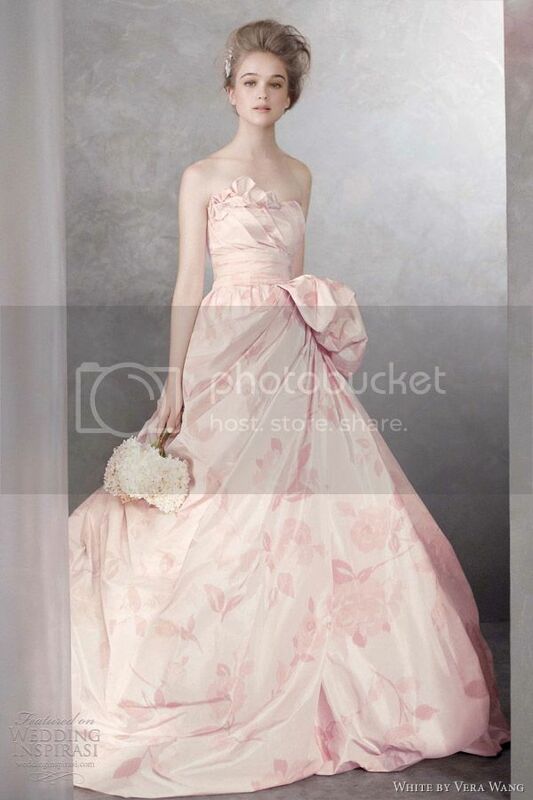 The collection was inspired by “the delicate forms of flowers and their feminine appeal.” It is selection so divine that I could not resist sharing with you some of her magical creations. And for yet more exciting news, it is budget friendly! Getting married or not, this is worth admiring!